How tough is Obama’s new economic tough guy? The first market day after President-elect Obama announced plans to appoint Federal Reserve Bank of New York president Timothy Geithner as Secretary of the U.S. Treasury, U.S. equities rose 6.5%. Pundits praised his experience handling crises and understanding of the troubled economy. But possibly, the market hoopla was premature, or even unwarranted. Some analysts seek his retirement. Worst of all, since Nov. 2003, Geithner let dangerous new Islamic and shari’a-based securities, markets and financial institutions gain business currency—despite the Fed’s role in U.S. monetary policy, currency distribution, government securities markets, legal supervision, regulatory enforcement, bank and capital markets investigation, foreign accounts and a payments mechanism handling over $4 trillion daily in funds and securities transfers. Not to mention Fed officials’ admitted lack of understanding. On July 1, 2004, eight months after Geithner assumed command, the New York Fed hosted Asim Ghanfoor (sic), AG Group founder and managing director, to address its Seventh Annual Global Economic Forum on “ABCs of Islamic Financing” and Islam’s increasing global financial role. A month later, Senators Charles Grassley and John Kyl identified Ghafoor as a representative of Boston’s terror-funding Boston’s Care International, the Global Relief Foundation (GRF) and the Al Harimain Islamic Foundation, which the U.S. Treasury specially designated a terrorist organization in September 2004 and again in June 2008. In fairness, the New York Fed began authorizing obscure shari’a banking institutions, structured shari’a issues, and opaque trading of the cottage industry’s myriad novel securities long before Geithner arrived. “Islamic bankers have been quite ingenious in developing financial transactions that suit their needs,” New York Fed first vice president Ernest T. Patrikis told an Islamic Finance conference in May 1996. “We bank supervisors, too, can be ingenious and will want to work with any of you should you decide that you want to engage in Islamic banking” in the U.S. The dangers of Islamic finance should have been apparent. From 1996 on, all 12 Federal Reserve banks received, and were charged to enforce many Treasury Department Office of Foreign Assets Control circulars designating Islamic groups and banks as terrorist-financing institutions, organizations and individuals. In 1998, OFAC warned the Fed against transactions with Osama bin Laden and his affiliates, in 1999 froze Taliban assets, in 2002 reminded banks to check customers against known terrorist lists and in 2003 warned against trading with any unnamed counter-party. Alarm bells should have gone off at a New York Fed event on Nov. 21, 2002, furthermore, where shari’a banking proponent Wafiq Fannoun described Islam [not only] as “Peace through submission to Allah (God),” however, “revelation-based [the Qur’an, Hadith] … complete way of life” — that is, a system of religious law proscribed by the U.S. Constitution from inclusion in secular legislation or regulatory systems. 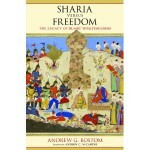 Equally at odds with Constitutional law and Western capitalism are other Islamic notions he described—namely that Allah is both creator and “owner” of all material things, and that “individuals” may not possess “natural resources important to society.” as “alternative financing for Muslims” and others recognizing individual ownership rights. True enough, most of that happened before Geithner ran the New York Fed. But after Geithner took the helm in November 2003, the bank missed several still more critical red flags on Islamic banking. First came Basel II Capital Accord, supposedly designed to strengthen the “regulatory capital framework” for big international banks. Authorities increasingly expected to trust banks to internally assess their own credit and operational risks. However, in July 2004 Switzerland’s Bank for International Settlements (BIS) reported, 53% of Middle Eastern bank supervisory staffs lacked the necessary training to meet Basel II’s December 2007 deadline. Middle Eastern banks originated and still predominate in Islamic banking. Nevertheless, by 2007, they still needed historical data to fashion reliable risk models but instead counted on “heavy” collateral and “exceptional” economic conditions to eliminate risks. Islamic institutions had manufactured “special purpose entities” (SPEs)—renamed, “special-purpose vehicles (SPVs)”—such as coincidentally helped destroy Enron. These legal devices restructured “interest-bearing debt, collecting interest [as] rent or [a] price mark-up,” Rice University Islamic economics chairman Mahmoud el-Gamal warned in May 2007. “Interest-based” Islamic finance equaled “shari’a arbitrage,” concerned only “religious identity” and merely employed Western securitization methods to transform liquid, traceable cash flows from interest-bearing debt into illiquid, opaque assets. Even hosting hosting Islamic financier Asim Ghafoor, a representative to three terror-funding organizations, on July 1, 2004 apparently gave no one inside Geithner’s Fed reason to pause from its rush to further accommodate shari’a banking. In March 2005, New York Fed general counsel Thomas C. Baxter Jr. asserted the Constitutional “wall of separation between church and state” Thomas Jefferson had described was “not absolute.” Chief Justice Warren Burger had in 1984 suggested that the Constitution “affirmatively mandates accommodation, not merely tolerance, of all religions,” Baxter told an Islamic financial industry “Legal Issues” seminar. “[S]ecular law should … accommodate differing religious practices,” he indicated, apparently even if that meant specially excepting Islamic banking from secular laws and regulations. In April 2005, New York Fed executive vice president William Rutledge admitted that the bank was “in no position to take a stance on shari’a interpretation.” He also claimed the bank would hold Islamic finance to “the same high licensing and supervision standards” as conventional banks. Despite the New York Fed’s role as a legal supervisor of Islamic banking, neither Rutledge nor Geithner noticed, however, that shari’a banking, a 20th century “tradition” invented by the Muslim Brotherhood, can’t be severed from Islamic law—statutes that Mohammed initiated, which caliphs, scholars and jurists developed over the last 1,400 years. They hold that shari’a grants Muslims (the ummah) supremacy over all others—along with all land and property to hold in trust for Allah. Thus as Fannoun effectively told the Fed in Nov. 2002, land or property, once conquered or acquired by Muslims (or for Allah), can’t generally revert to their original owners. Shari’a commands Muslims to wage jihad warfare until they subdue all “infidels” under universal Muslim rule, as Ibn Khaldun avowed in the Muqaddimah (trans., Franz Rosenthal, Princeton Univ. Press, 9th printing, 1989, p. 183). Confiscating possessions from non-believers exacts “revenge,” wrote jurist Abul Hasan al Mawardi (d. 1058). Qur’an 57:2 argued, “To Him belongs all dominions of the heavens and earth.” Qur’an 59:7 echoed, “That which Allah giveth as spoil [war booty] unto his Messenger…,” Allah authorized 2nd Islamic Caliph, Umar Ibn Khattab, to confiscate property by force, fulfilling an Islamic trust, or ruling under Allah’s law. It was thereby just to take anything from nonbelievers, (The Laws of Islamic Governance, Taha Publishing, 1996, pp. 207-251) including all territories Islam ever controlled. Apparently, Fed officials also neglected to investigate the alliances and beliefs of shari’a advisors and their affiliates in the Accounting and Auditing Organization for Islamic Financial Institutions (AAOIFI) and Islamic Financial Services Board (IFSB) standards agencies. The shari’a-based Islamic Development Bank established the AAOIFI in 1990 to set Islamic finance standards. Its trustees include executives of Kuwait Finance House, Saudi Arabia’s Dallah al Baraka Group and al-Rajhi Banking & Investment Corporation—all implicated in al-Qaeda and other terror-funding—and Sudanese (and until recently Iranian) officials, both U.S. Treasury-sanctioned countries. Former Malaysian Prime Minister Mohamed Mahathir in 2002 christened IFSB “a universal Islamic banking system” and “a jihad worth pursuing….” Its board members include the terror-funding Iranian, Sudanese and Syrian central banks and Palestinian Monetary Authority. Yusuf Qaradawi, an U.S.-designated foreign terrorist barred entry since 1999 for example, supports wife-beating, suicide bombings, murder of American military forces and female suicide “martyr operations.” A large shareholder of Al Taqwa Bank, Qaradawi also chairs the recently designated terrorist-funding Union of Good “charity,” Qatar National Bank, its al-Islami subsidiary, Qatar Islamic Bank, and Qatar International Islamic Bank—and follows AAOIFI standards he helped create. Similarly, Dow Jones Islamic Market Indexes (DJIM) shari’a board uses “stringent and published” methods to determine “compliance of index-eligible companies.” But its industry screens, financial ratios and biographies omit advisors’ affiliations or beliefs. Dow Jones Citigroup Sukuk Index (DJCSI’s shari’a board certifies Islamic asset-backed bonds if structures meet “AAOIFI standards” and shari’a principles, but don’t mention AAOIFI history or governance. Until July 2008, shari’a banks, the Dow Jones Islamic Index board and an North American Islamic Trust (NAIT) fund also employed a 20-year veteran of Pakistan’s Shari’a Supreme Court, former judge Taqi Usmani, who taught at the Taliban spawning ground, Jamia Darul Uloom Karachi, headed the AAOIFI religious board, endorsed suicide bombing, and in 2007 advised U.K. Muslims to impose shari’a when their numbers suffice. Shari’a finance advisor Muslim Brother Yusuf Talal DeLorenzo advised Pakistan’s tyrannical Zia ul-Haq from 1981 to 1984, and ran the Virginia Islamic Saudi Academy educational program cited in 2008 for using hateful Islamic texts. Trained at Karachi’s terror-espousing Jamia Al Alomia Al Islamia, he served the Muslim Brotherhood International Institute of Islamic Thought (IIIT) and from 1989, was secretary to the MB’s Fiqh Council of North America. Perhaps Treasury Secretary-designate Geithner seriously meant to keep Rutledge’s promise to grant Islamic financiers no special favors. But allowing shari’a finance to exist at all is itself a special favor. 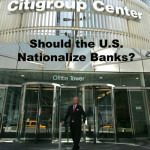 Moreover, on November 23, 2008 Geithner, Treasury Secretary Henry Paulson and Federal Reserve Chairman Ben Bernanke agreed to add another $20 billion taxpayer-gilded bailout to Citibank’s previous $25 billion bailout—and offer $306 billion in new loans to cover Citi’s losses on soured real estate debts and securities. Only three days earlier Citigroup uber-shareolder Prince Alwaleed bin Talal, a godfather of Islamic finance, had announced plans to up his stake in America’s largest (failing and “underpriced”) bank from 4% to 5%. On March 20, 2006, the Saudi Kingdom Holding Co. CEO was “honored for humanitarian contribution to Islam” at a “glittering gala to celebrate excellence in Islamic Finance” that also featured terror-financier and Dallah al-Baraka founder and president Saleh Abdullah Kamel. Interesting article. Even though I do agree with some of the points you’ve mentioned, I do like to point out that your justification of abolishing Islamic finance by some alleged terror activities, is not valid. Islamic finance does not imply that all of an individual or a firm’s activity to comply with the aspects of Shariah. It merely applies to how you carry out your financial transactions. It seems to me that your article is, ignorantly linking Islamic finance with Terrorism, similar to how some media seems to depict Muslims as terrorists. Islamic finance have shown resilience during the current turmoil in the markets, and governments such as that of the UK and Japan have recently started moving towards Islamic finance. It’s very unfortunate that reports such as these, that clearly show an extremely one-sided view, and completely ignore the benefits of this financial system, are being published. The only “ignorance” here is your failure to understand that the entire shari’a finance standard setting structure was formed by Muslim Brotherhood affiliates, and is staffed by officials from terror-funding banks and nations, and that most of the shari’a advisers for these banks also affiliate with and sympathize with hateful, jihad ideologies and organizations. There is no benefit in that system, period, except to the Muslim Brotherhood and Islamic radicals, who have openly stated their intention to import shari’a into the West through “parallel” economic systems, with which they ultimately hope to subsume into their own. Islamic markets have shown “resilience” only because their bookkeeping is opaque, and you cannot see the problems in their structured finance. However, those shari’a instruments are engineered with exactly the same methods that have undermined Western banks and economies, and the premise that shari’a finance is somehow safer because it is religious is pure unadulterated nonsense. Shari’a banks have failed, too, and stolen their Muslim depositors’ funds by the tens of millions. 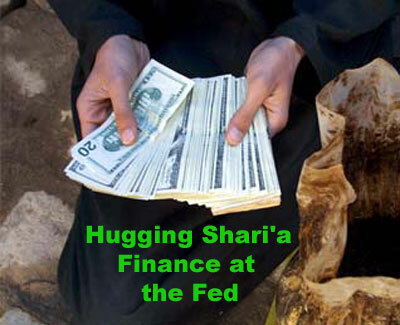 Shariah Financing is a bad thing all the way around. First off you have no idea if you are sponsoring any sort of terrorism directly or indirectly because this type of financing is not regulated. Second you must not know what the definition of “Shariah” is to make such a stupid comment here.